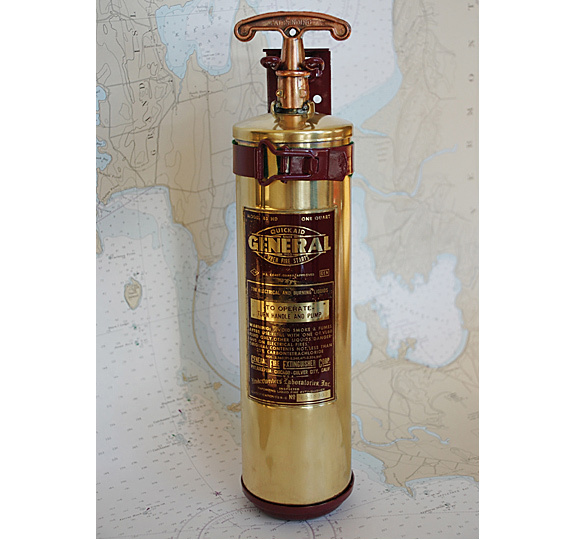 This is an original fire extinguisher salvaged from a freshwater 1949 Chris Craft Runabout. 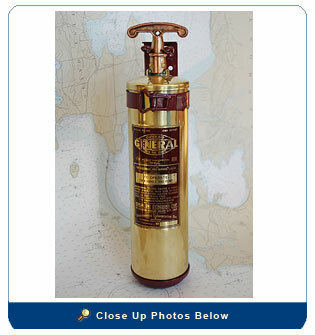 These extinguishers were supplied by the boat manufacturer as standard equipment from 1949 - 1952. Size: 13’ H X 3 ¼ W X 3 ¼” D.